Forget Computers - Horoscope calculations now on your Mobile! You don't need a computer anymore. Astrology software now fits into your palm! Astro-Vision, one of the pioneers in Astrology Software brings Astrology Software onto your mobile. 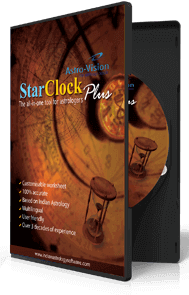 Astro-Vision StarClock ME Mobile Horoscope Software provides you with all the astrology calculations necessary to give predictions, making it the best horoscope software for mobile phones. Astrology Consultancy on the Move! 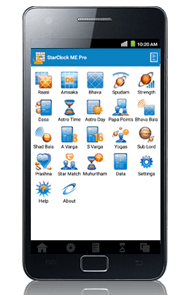 The extremely simple and user friendly interface of StarClock ME Mobile Horoscope Software makes it simple to give astrology consultancy even while travelling. The astrology calculations are accurate and thus you can focus on providing predictions. 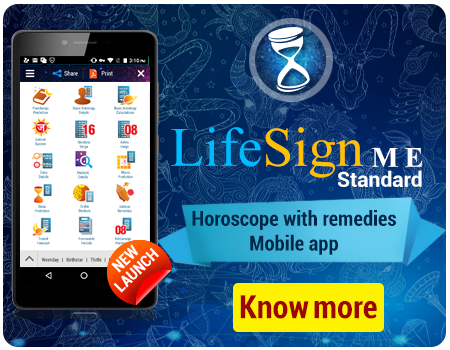 Unlike most other Astrology Software, StarClock ME Mobile Horoscope Software works on most mobile phones, thus you save on expensive computers, laptops and high end mobiles. StarClock ME Mobile Horoscope Software is ideal for Astrologers and Astrology students. 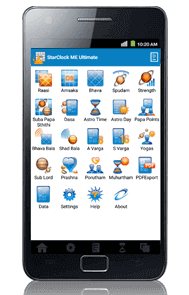 StarClock ME Mobile Horoscope Software provides most of the calculations necessary for an astrologer or student of astrology. 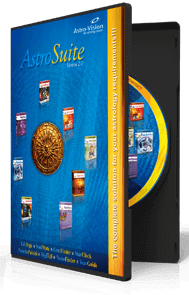 If you are looking for a PC-based Astrology Software, then Astro-Vision AstroPack Astrology Software is for you. If you are interested in predictions too, then Astro-Vision LifeSign Astrology Software with calculations and predictions is for you.